Reliance Group Party Bus Rentals: We Got Your Back! The Reliance Group does more than just “get you to the fun.” We bring the fun to you, and we do it in style! Whether it’s a 10 year reunion, a super bowl party, or just a special celebration, we are ready to show you the time of your life with our luxurious NY Party Bus rentals. All our party buses are well-furnished and packed with modern-day amenities to ensure you get great value for your money. Our chauffeurs are expertly trained and well experienced to provide you with safe, reliable, and punctual service. Our party bus fleet consists of a variety of vehicles with different passenger capacities, including 56, 46, 36, 35, 24, 14 and 11 passenger vehicles, and is ideally suited to accommodate all your travel needs on birthdays, anniversaries, and other party occasions. Choose from our range of party vans, Coach Bus, and mini-buses to pick the one that best suits your needs. 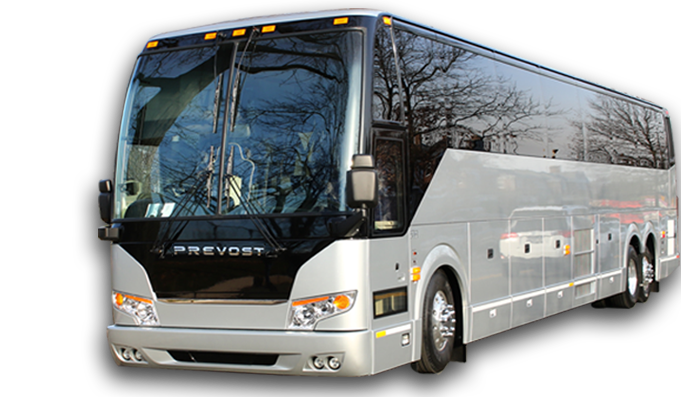 Our deluxe coach buses and mini-buses are climate-controlled and include DVD video and audio capabilities, lavatories, reclining seats, PA systems, and much, much more. Our drivers are specialists when it comes to navigating comfortably through traffic in Manhattan. Hire a party bus on your way to an exhilarating basketball game at the Barclays Center or Madison Square Garden. Valentine’s Day or the New Year’s Eve – it’s all on us to make your party transportation amazing. Ride with pleasure during your event in one of our buses and let’s party together. We offer different travel packages for various events: shopping trips, birthdays, Proms, and Nights on the town to name a few. Planning a wine tour? One of our many winery tour packages will delight you, for sure. Our Party Buses are more like personalized private clubs on wheels, with awesome sound systems and magical light shows. We party hard and we party often, we can show you how it’s done. Use our bus services to pick up friends and family for birthday parties, Sweet Sixteens, Bar Mitzvahs or Quinceanera parties. Our bus service is busy and highly in demand almost all year round – so make sure you book us well in advance to ensure availability for your favorite vehicle. And guess what, we have special discounts for early birds, so it’s a win-win situation for you. We all love parties, and just need a slight reason to have one, be it a birthday or anniversary, a good soccer game or basketball match, a prom night or something else. Traveling for a party can itself be a moment to celebrate on the way. All you need round is a rich, feature-packed limousine and plenty of friends. Party bus rental services offer numerous add-on facilities like Wi-Fi, well-stocked bar, music system, snacks and drinks, and much more. So the party actually begins right there and then, even before reaching the venue. Hiring a reputed party bus rental service provider can make sure you get a fun, entertaining and pleasant travel.